The Appellate Attorney’s Toolbox: A Contingent Cross-Appeal by the Prevailing Party. Every attorney knows the rule the party who is adverse to a lower court judgment has the right to file an appeal of the judgment to an appellate court. Sometimes, both parties are aggrieved to some extent by a judgment and what follows is an appeal and a cross-appeal. However, a party cannot use a cross-appeal to raise an issue with an appellate court that can simply be raised in an appellee’s brief in response to the losing party’s appeal. Nautilus Group, In. v. ICON Health and Fitness, Inc., 437 F.3d 1376 (Fed. Cir. 2006). The corollary to the rule that an aggrieved party has a right of appeal is that the prevailing party who has received all he sought in the lower court has no right of appeal. Some cross-appeals are” conditional” in the sense that the cross-appeal is reached only if and when the appellate court decides to reverse or modify the main judgment. The theory for allowing a conditional cross-appeal is that as soon as the appellate court decides to modify the trial court’s judgment, that judgment may become “adverse” to the cross-appellant’s interests and thus qualify as fair game for an appeal. In other words, a conditional or contingent cross-appeal by the prevailing party raises an issue that only comes before the appellate court if the appellant were to win a reversal of the lower court judgment. A few years ago, I handled an appeal for a plaintiff/appellee who was the prevailing party as to the lower court’s order denying a motion to compel arbitration. 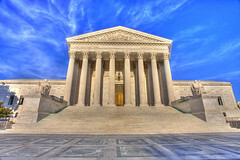 The plaintiff’s primary counsel had offered several defenses to the arbitration motion in the lower court, including that the arbitration agreement was procured by fraud, and that the statute underlying the plaintiff’s statutory claim contained an express right to a court action. The lower court held against the plaintiff as to the fraud defense, stating that was an issue for the arbitrator if arbitration was ordered, but denied the arbitration motion based on a finding that the statute itself barred arbitration of the plaintiff’s claim. The consumer was thus the prevailing party who had obtained all she had sought — denial of the company’s motion to compel arbitration. The company, as the aggrieved party, appealed the denial of its arbitration motion. Even though the consumer had gotten all she had sought, I responded to the company’s appeal by filing a contingent cross-appeal where I argued, should the appellate court find that the statute itself did not provide a defense to arbitration, that the appellate court needed to review the other portion of the lower court ruling where in dicta it had stated that it would be an arbitrator and not a court that would decide a challenge to the arbitration provision based on fraud in the factum. Thus, what I filed as a conditional or contingent cross-appeal. Although the situations where it would be proper to file a contingent cross-appeal are not common, every appellate attorney should be aware of the existence of this doctrine. It is a tool you may need to use one day to try and protect your client’s interests.